Sharma*, K., Jain, S., Ch, U., (India), R. (2016). BaBiO3 assisted photodegradation of malachite green dye under visible light irradiation: Adsorption and degradation kinetics. 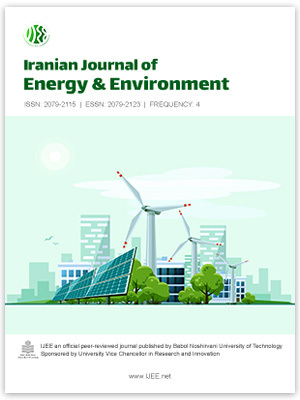 Iranian Journal of Energy and Environment; previously called: Iranica Journal of Energy & Environment, 7(3), -. K. Sharma*; S. Jain; U. Ch; rawat (India). "BaBiO3 assisted photodegradation of malachite green dye under visible light irradiation: Adsorption and degradation kinetics". Iranian Journal of Energy and Environment; previously called: Iranica Journal of Energy & Environment, 7, 3, 2016, -. Sharma*, K., Jain, S., Ch, U., (India), R. (2016). 'BaBiO3 assisted photodegradation of malachite green dye under visible light irradiation: Adsorption and degradation kinetics', Iranian Journal of Energy and Environment; previously called: Iranica Journal of Energy & Environment, 7(3), pp. -. Sharma*, K., Jain, S., Ch, U., (India), R. BaBiO3 assisted photodegradation of malachite green dye under visible light irradiation: Adsorption and degradation kinetics. Iranian Journal of Energy and Environment; previously called: Iranica Journal of Energy & Environment, 2016; 7(3): -.